To apply for this job, you must first register as an applicant. Register here. 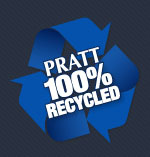 Pratt’s paper mill in Valparaiso, Indiana is currently seeking a Paper Mill Shift Manager. Exciting opportunities exist for a very aggressive hands-on team player who is self-motivated and has good people and computer skills. The Shift Manager is responsible for leading their entire designated crew for safety, production, training, maintenance, and housekeeping. Report to Manufacturing Manager any information that may impede the operation of the plant as soon as it becomes known. Superior time management skills including the ability to manage multiple issues concurrently. Excellent employee relations skills including being an active listener. Excellent crisis manager who demonstrates that he/she has a high emotional control. Demonstrated confidence including providing a consistent leadership style with an acceptable level of professional assertiveness. Professional appearance to support his/her role as a managerial representative of the company. Ability to influence others. 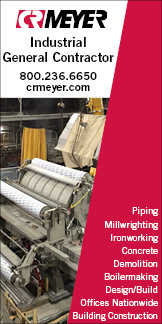 Advanced knowledge and experience in paper making, process engineering, &plant operations. While performing the duties of this job, the employee is regularly required to stand, walk, and talk or hear. The employee frequently is required to use hands to finger, handle, or feel; reach with hands and arms; and stoop, kneel, crouch, or crawl. The employee must regularly lift and/or move up to 50 pounds. Specific vision abilities required by this job include close vision, distance vision, color vision, peripheral vision, depth perception, and ability to adjust focus. Shift work schedules are (12) hours. Post-secondary educational degree (2 to 4 year degree from college, university, technical school, vocational or other advanced educational institution) or military experience required. The candidate must speak and write English at a college level. Ability to read, analyze and interpret technical procedures, manuals, and codes. Ability to write business reports and correspondence. Ability to communicate effectively with employees, suppliers, and contractors. Ability to effectively present information and respond to questions from other members of the management and supervisory staff. Already registered? Sign in below to apply.